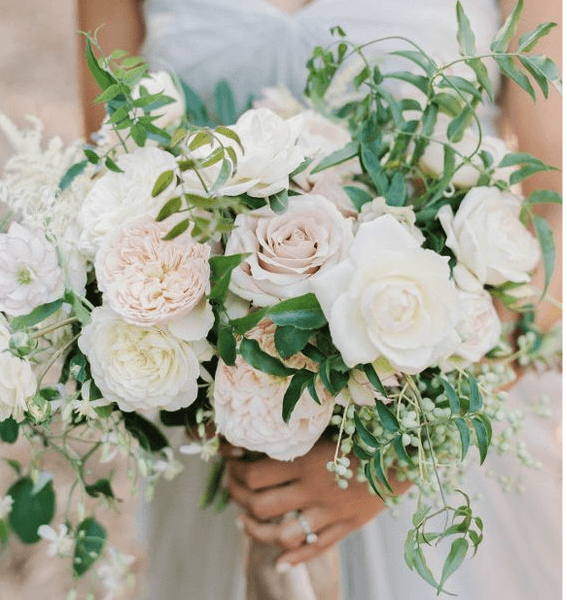 The softest of cremes, whites and blush make this such a pretty bouquet. It has a mix of colours and textures with the gorgeous blooms of roses, dahlias, english garden flats, wax flower/astilbe, and fragrant stocks. It’s lush. It’s romantic. It has a hint of silvery green gray foliage and a lovely scent. It’s simple. It beautiful. It’s just perfect!